We offer MS and PhD degrees in architectural engineering, environmental engineering and in civil engineering. When applying for graduate study, students should identify the research area below in which they would like to pursue a MS or PhD degree. 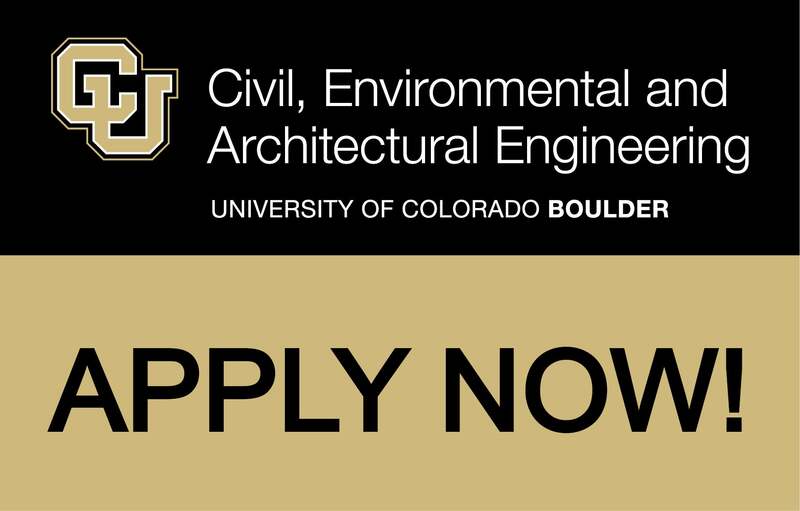 The Department of Civil, Environmental and Architectural Engineering particularly encourages applications from students who would broaden the diversity of our graduate community. We know that diversity is essential to academic and workplace success, and we are committed to creating an inclusive and collaborative community. Learn more about the University of Colorado Boulder Diversity Initiative. Prospective students should also review the application process, deadlines and eligibility requirements. NEW! The College of Engineering and Applied Science is waiving application fees for all domestic applicants to our CU Engineering PhD programs through December 1st 2018.